Dr. Kolb graduated from Johns Hopkins University and received her medical degree from Washington University School of Medicine. She also completed post-graduate education in plastic surgery and general surgery at Wilford Hall Medical Center. Specializing in plastic and reconstructive surgery, Dr. Kolb has been certified by the American Board of Plastic Surgery since 1985. She was also a Founding Diplomate of the American Board of Holistic medicine in 2001. She is a member of the American Society of Plastic Surgeons and is a Fellow of the American College of Surgeons. Dr. Kolb has been in private practice in the Atlanta area since 1988 and is the founder of Plastikos Surgery Center, Millennium Healthcare as well as the founder of Avatar Cancer Center. She is the founder of the Atlanta Holistic Doctors Association and the Atlanta Noetic Science Community Group. Dr. Kolb hosts Temple of Health, a weekly radio program on holistic medicine every Saturday from 12:00-1:00 p.m est. on www.BBSRadio.com or directly on www.plastikos.com. Listen live on the internet or download previous shows! On this show, she brings you leading experts and authors, revealing the latest breakthroughs in Science, Health and Spirituality. Dr. Kolb also lectures on energy medicine and intuitive diagnosis. Plastikos Surgery Center was established in 1995 as a holistic surgery center incorporating many disciplines of holistic medicine including energy medicine and spiritual healing. Millennium Healthcare was founded in 1998 as an extension of Plastikos due to the interest of many of the Plastikos patients to have a center, which could address medical as well as surgical health concerns. Avatar Cancer Center was established in 1999 as a center for adjunctive treatment of cancer and life threatening viral illnesses. It is the center’s vision to help people have access to Integrative Healing services as a comprehensive Center of Excellence Millennium Healthcare and Avatar Cancer Center feature an interdisciplinary group of caregivers, physicians and non-physicians, who provide an integrative model of care that blends western and complementary approaches. Avatar Cancer Center incorporates energy and immune therapies to aid in the treatment of life-threatening diseases. Our goal is to provide comprehensive and compassionate integrative care in a tranquil, healing environment. Our providers make great efforts to create optimal health using the best of their collective abilities by continuously advancing the understanding and development of healing techniques. Dr. Kolb has been featured in national and international media including The Today Show, People Magazine, Family Circle, Glamour Magazine, TBS TOPX Show, CNN TalkBack Live, CNN Headline News, FOX National News and the Atlanta Journal Constitution. She has been extensively interviewed about her pioneering techniques in the diagnosis and treatment of breast implant problems including chemical and biotoxicity. 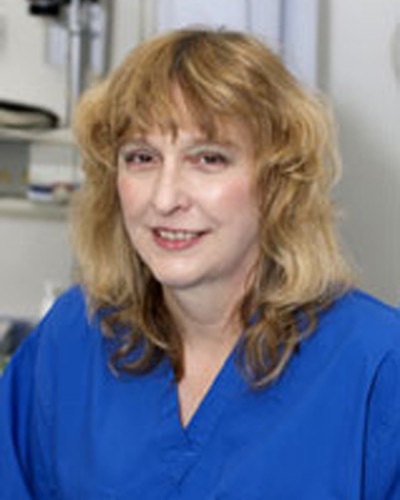 Dr. Kolb has been performing reconstructive and aesthetic female genital surgery since 1984. She recently presented a paper on Aesthetic Female Genital Surgery at the annual conference of the American Academy of Aesthetic Medicine. 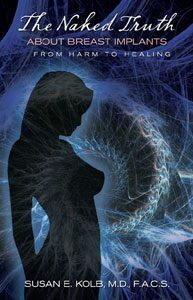 This book is a testament to two important journeys of discovery which merge in the person of Susan E. Kolb, M.D. The first is the recognition and definition of an important, modern, and environmentally caused new disease, which according to the rules of naming medical disorders is best called siliconosis. Dr. Kolb has made major contributions to this recognition and is one of a limited number of physicians qualified to bring these matters to more general attention. She prefers the equivalent term, silicone implant disease, which conveys to the afflicted patient a more direct statement of cause and effect. Our office can assist you in a variety of options available to finance your procedure through Care Credit (800) 677-0718, Advance Care (800) 432-9470, or SurgeryLoans.com at (888) 502-8020. (Visa, MasterCard, Discover, American Express). We do not accept debit cards. Fees listed below are estimates as Operating Room and Anesthesia Fees are determined by the duration of the procedure.